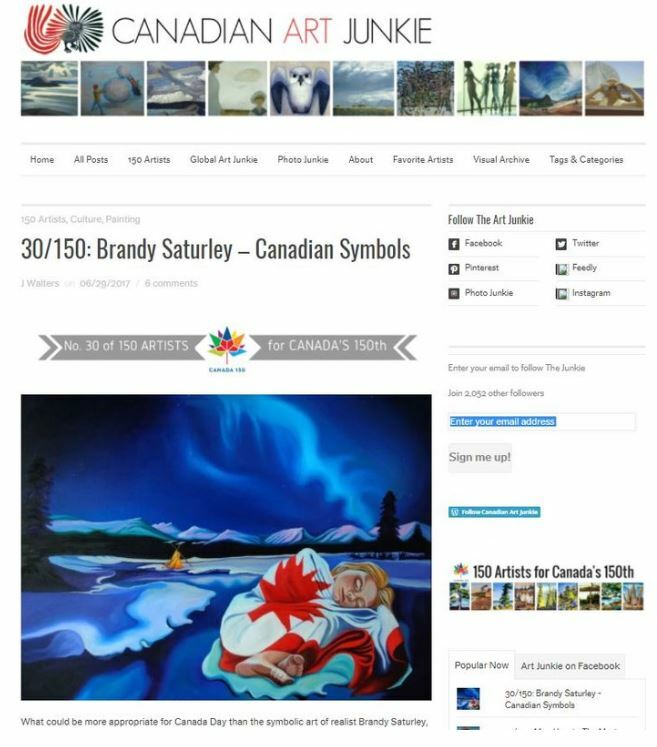 A favourite Canadian Art Blog, ‘Canadian Art Junkie’ has been shining a light on Canadian Artists this year, and I am happy to be included in this iconic list of creators. With their 150 Canadian Artists for Canada150 features, they are bringing light to a diverse group of prolific artists in the Great White North. “For five years Saturley sussed out the icons and settings that make us Canadian. Her works are on exhibition in Canadianisms, at Okotoks Gallery near Calgary through Sept. 2.” – read the full article here.